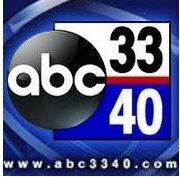 News TV Channel / WBMA-LD, virtual channel 58 (UHF digital channel 40), is an ABC-affiliated television station licensed to Birmingham, Alabama, United States. The station is owned by the Sinclair Broadcast Group, as part of a de facto legal triopoly with CW affiliate WTTO (channel 21) and MyNetworkTV affiliate WABM (channel 68); Sinclair also manages the Tuscaloosa-based station WDBB (channel 17), which operates as a satellite station of WTTO, under a time brokerage agreement with Cunningham Broadcasting. WBMA-LD maintains studio facilities located at the Riverchase office park on Concourse Parkway in Hoover (although with an address assigned to Birmingham), and its transmitter is located atop Red Mountain (near the Tarpley City neighborhood) in southwestern Birmingham. On cable, WBMA-LD is available on Charter Spectrum channel 12, Comcast Xfinity channel 5, and AT&T U-verse channel 33 in standard definition; and in high definition on Spectrum channel 1012, Xfinity channel 1005, and AT&T U-verse channel 1033.